Are you protecting your innovative efforts? Protecting your intellectual property and compliance with internet laws can mean the difference between success and failure. It can prevent competitors from copying you hard work. 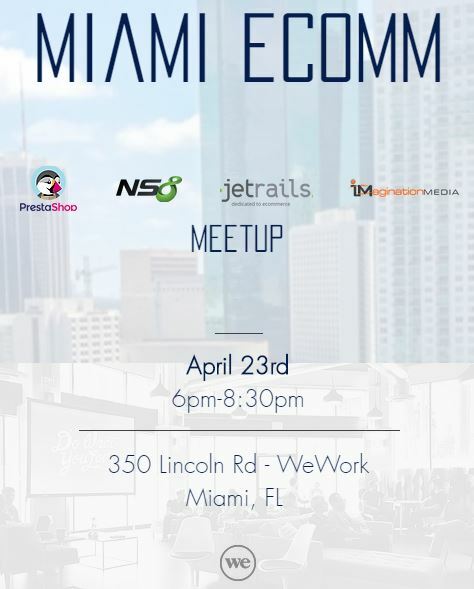 Join us at the LAB Miami for a lunchtime discussion of intellectual property law matters affecting your startup and emerging businesses. This discussion highlights practical considerations related to intellectual property (“IP”) that are important to entrepreneurs at all stages. Attorneys Mark Stein and Ashley Juchawski Rich will address the essentials of trademark, copyright and patent law for startup and emerging businesses, and will provides practical advice for how to protect the IP of your business. This discussion will identify various types of IP and will help you discover how your rights arise, the extent and scope of your rights, and your best defense – remedies for infringement. Limited seats offered for intimate discussion and opportunity for individual questions. 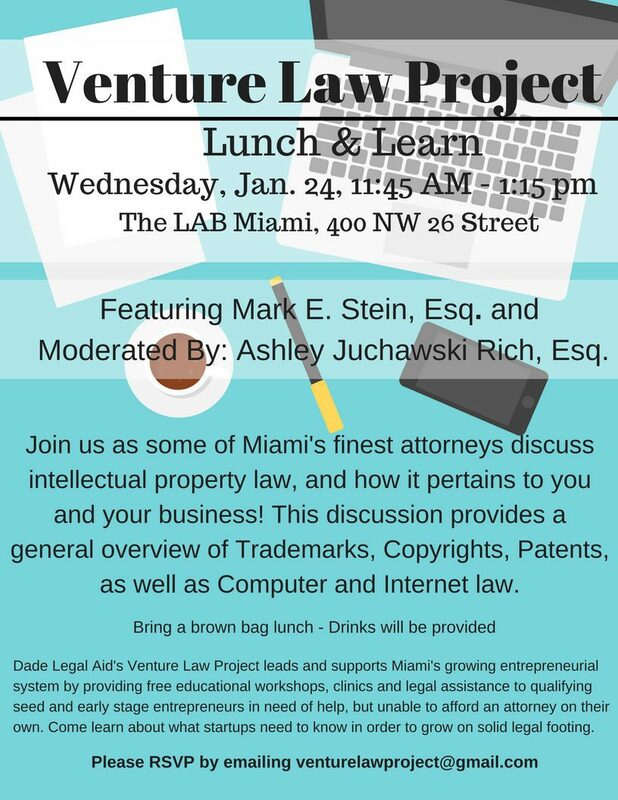 RSVP to venturelawproject@gmail.com to reserve your spot today!